5 Tricks & Treats For A Happy, Healthy Halloween! The temptation to dig into the huge variety of candy the kids collect while trick or treating is real! The kids want to indulge too! To ensure you and your kiddos get some good nutrition in and don’t just feast on candy for dinner, make sure to have a hearty, nutritious meal BEFORE heading out to collect all the goodies. How about this protein-rich turkey veggie meatloaf or some quick veggie-loaded peanut noodles? These Jack-O-Lantern stuffed bell peppers are a festive way to start the evening with your kids too! 2. If you’re throwing or going to a party, make a dish that adds value, not subtracts it. Make food you think everyone will enjoy, AND know will fill the nutrition bank account of all your friends and kiddos in attendance. Make food you think everyone will enjoy, BUT won’t leave anyone feeling healthier or better than they did before they ate it. Use small plates at parties, get small bags or buckets for your kids to limit the amount of candy they collect, Choose mini sizes of candy to try instead of the full bar. Everything adds up, and on days like Halloween when there are small bites and tastes of goodies everywhere you look, do your best to keep portions and your family’s health goals in mind. 4. Be that weird neighbor who hands out something other than candy. How fun would it be to have glow bracelets while trick-or-treating!? 5. Be in control of your environment. Can you work out a plan with your kids to take most of their candy in to school to share, or donate to a homeless shelter? How about trade it for movie tickets, a day at the trampoline park, or a fun new board game? Can you take that leftover salami platter, or mac & cheese dish, in to work…or simply throw it out? Again, if the food is in your house, it will be eaten by someone at some point. Use this as a teaching opportunity for your kids. Indulging is fine every now and then, but having loads of candy every day isn’t going to make anyone feel healthy, wealthy, or wise. I’d love to know: what are some of your tricks and treats for having a happy, healthy Halloween! Share with the masses! We can use all the support and ideas we can get as the busy holiday season begins! Thanks as always for following me on Instagram/Twitter/Facebook and sharing me with all your friends, family, coworkers, and strangers on the street. 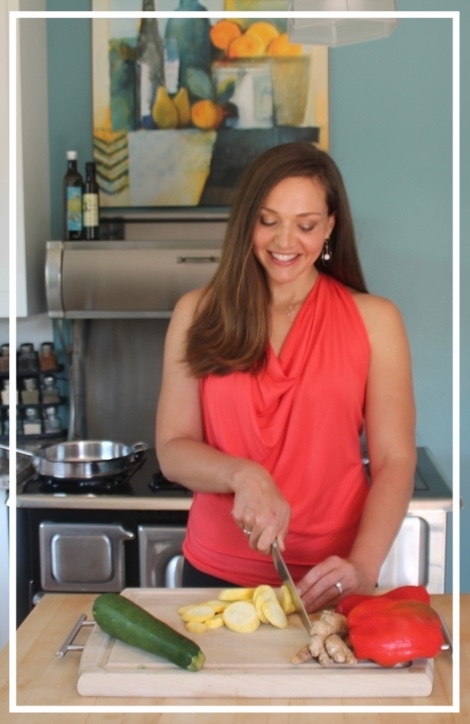 :) I have availability for new clients at the moment, so if you or any companies you know are looking for food/wellness consulting, writing, or recipe development, send them my way! Fresh gift ideas for the foodies, aspiring chefs and nutrition nuts in your life! These are some of my favorite things to use in the kitchen and everyday life to make healthy living a little more convenient and fun! Did you know September is National Better Breakfast Month? When hunger strikes first thing in the morning, starting your day off with a solid breakfast can make the difference between a great day and a mediocre one. A nutritious breakfast has been linked to better mental and physical performance throughout the day. So what exactly is a nutritious breakfast and how do you make better choices? I teamed up with Flatout Flatbreads to help you find those answers and level up your breakfasts for good! Start by taking a look at your normal breakfast choices. Are you a breakfast skipper? A pastry or pancakes kind of person? Oatmeal or toast? Do you make a green smoothie or veggie omelet for yourself most mornings? Look to get a balance of carbohydrates, protein and fats to give you all the nutrients and energy you need to last you all morning. For example, most breakfast staples - oatmeal, toast, cereal, pastries - are rich in carbohydrates, but don’t offer much fat or protein. Not only do protein and healthy fats help keep you satisfied longer after meals, they fuel your brain, your muscles, your hormone production, and help keep your blood sugar stable so you don’t have an energy crash soon after eating that bowl of cereal. 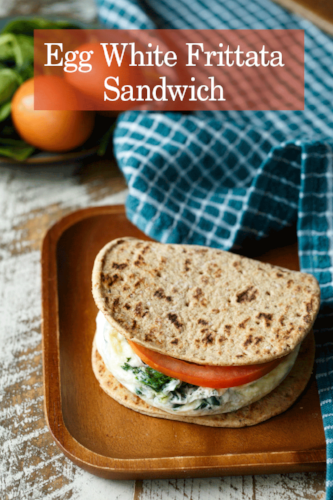 Try adding some eggs, cream cheese and salmon lox, natural deli meats, chicken sausage, avocado, or beans to a Flatout flatbread for easy, balanced breakfast options. Bonus points for adding in whatever veggies you have on hand! Veggies? Check! Protein? Check? Smart Carbs? Check! Healthy fats? Check!! Fiber keeps you full! No one likes eating a banana for breakfast in the car on the way to work only to be hungry an hour later in the middle of their morning meeting. Add some fiber to help you make it to lunch before hunger hits. Grab a whole grain, high fiber Flatout flatbread, spread it with a little peanut butter (or any other nut or seed butter you like), slice up that banana and wrap it up with the peanut butter for a portable, high fiber breakfast you can take on the go. If you have just 5 minutes every morning to make breakfast and usually grab a bagel on your way out the door, don’t commit to whipping up a homemade veggie omelet as a way to eat healthier. Instead, make it easy on yourself and choose something you’re confident you can do every day. For example, swap that bagel for a high protein, high fiber Flatout flatbread, microwave a couple eggs or egg whites for some quick scrambled eggs, toss in whatever veggies you have on hand and wrap it up for a quick and delicious breakfast wrap ready in minutes. Are you up for the challenge to make your breakfasts just a little bit better each day to level up your performance? 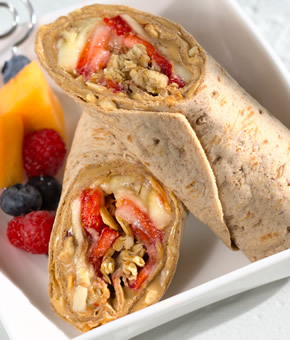 Try out some of these other delicious, easy breakfast recipes using Flatout Wraps, FoldIt and Pizzas! Click here to find a variety of Flatout Flatbreads in the deli section at your local grocery store. Thanks as always for following me on Instagram/Facebook/Pinterest and sharing me with all your friends, family, coworkers and strangers on the street. :) I have availability for new clients at the moment, so if you know any health-focused companies looking for nutrition consultant or coach, send them my way! "Eat your vegetables!" - a common refrain of parents everywhere. Yet, even after we grow up and leave home, it's often a struggle to fit in adequate amounts of fresh veggies. Luckily, there are wonderful options available to make getting colorful, veggie-rich meals more convenient. Having just enjoyed an extend time away from home, I thought it might be helpful to share some of my strategies for making good choices with my food while traveling or eating out. Body wisdom is full of self-compassion. While it is not giving you a free pass to do or not do whatever you want, it’s treating you like you would treat a friend. It’s not beating you up and kicking you when you’re down like perfectionism would. What is going to make you want to show up day after day, looking forward to the journey ahead? Perfectionism or Body Wisdom? Most of us have tried some type of diet that encourages calorie counting, pre-determined timed meals or food restrictions. How has that worked for you? Bone Broth: Superfood Or Everyday Ingredient? What are the real benefits of consuming bone broth? It's one of the hottest "superfoods" du jour!